Lure Coursing was a sport introduced for sighthounds – which normally hunt by sight rather than tracking by scent and travel with great speed. It is considered a performance event that was introduced in the 70’s to offer a more controlled sport for sighthounds that stimulates the prey drive for dogs in the open field. Recently AKC has acknowledged and offered the Coursing Ability Test (CAT) – to all breeds (including mixed breeds) with qualifications by breed. It is considered a companion sport which requires the participation of handler and dog. However, only the dog is required to run the course. 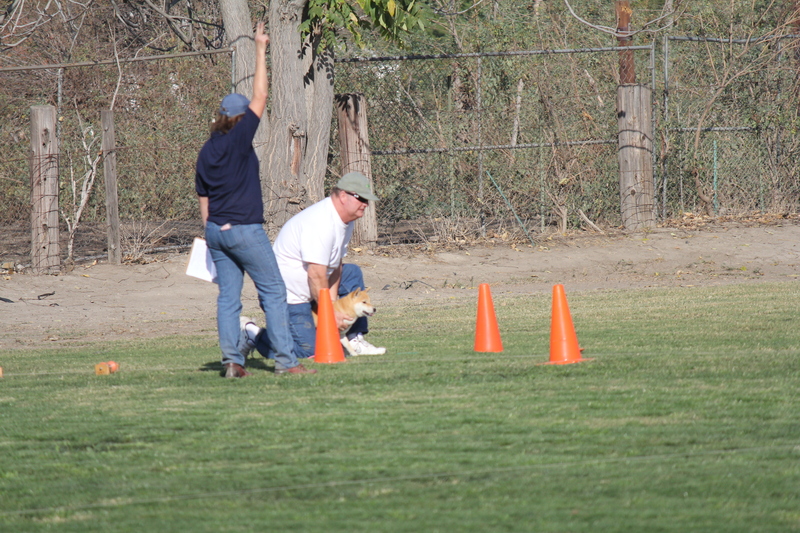 The courses are mapped out by the judge, who monitors the dog’s path and times the run. The handler’s responsibility is limited to getting the dog to the line and celebrating and collecting the dog after the dog completes the run. This is a great sport for some Shibas, as they were originally bred in Japan for hunting small game and often exhibit prey drive. The beauty of this sport is that it requires no formal training and relies on the innate ability of the dog. CAT can be a great event for any Shiba that has some basic obedience. A solid sit, stay and recall are great foundations for this event. It is essential to be able to control the dog at the start and then to be able to collect your dog at the end of the event! Otherwise, it may take a bit of time to chase your dog and leash him/her up at the end of the event. Some Shibas may not show any interest at all in the “game” and may find it silly to be “chasing” a white plastic bag tied to a string. 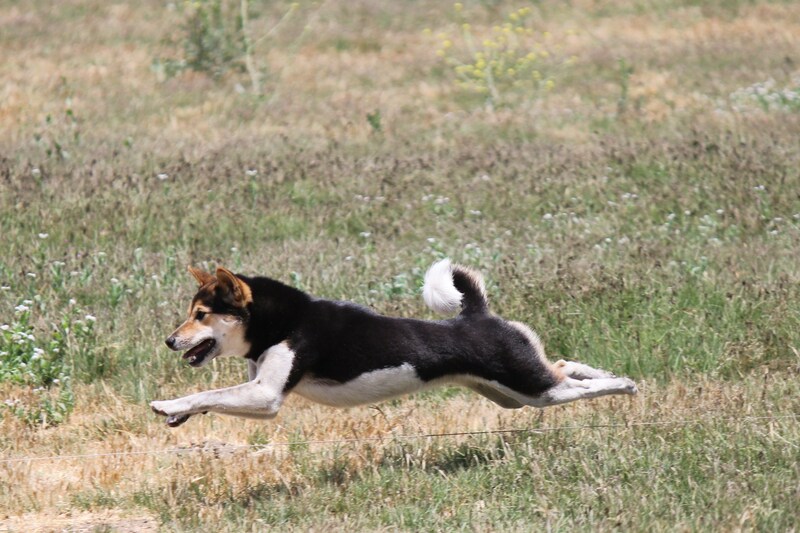 Shibas with high prey drive may become “obsessed” with the game and have been known to continue long after the scheduled time for the run. 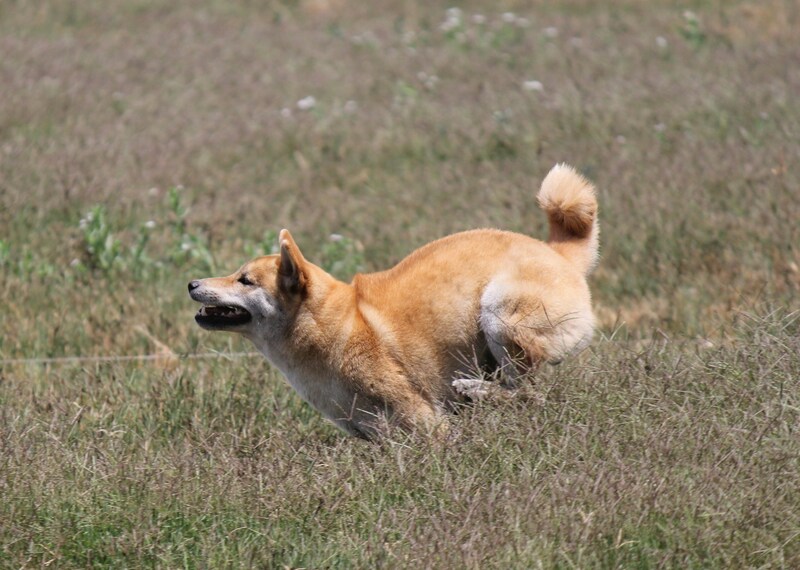 Check out the Coursing videos to watch Shibas compete in luring. Feel free to look at some of the recent statistics on Shibas that have earned AKC titles in Coursing (CAT). What is The Coursing Ability Test (CAT)? The Coursing Ability Test is a fun event for your dog derived from the sport of lure coursing. 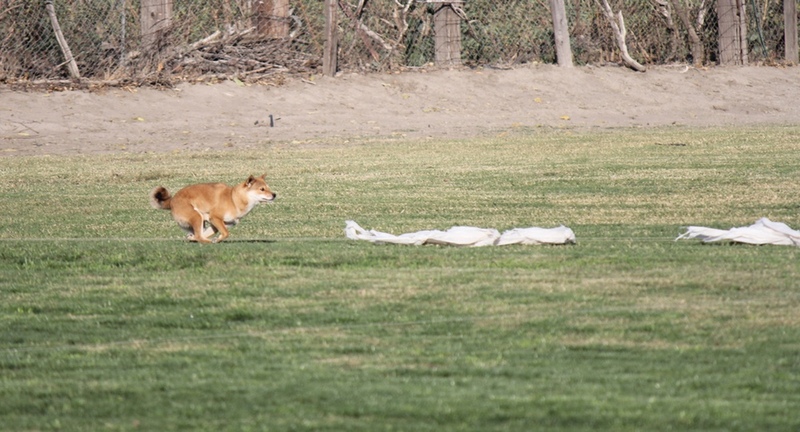 Dogs run alone (not in groups) in a large open area, chasing a white plastic bag as if it were a small prey (eg. squirrel, mouse etc). It is a pass/fail, non-competitive test, in which dogs should run with excitement! The courses are usually between 300 (course time <90 seconds) & 600 (course time <120 seconds) yards in length. Fields/premises are generally fenced – but it is always worth checking in with the host club or trial secretary. The courses are designed with a series of small pulleys which are staked around a field in a pattern that may mimic the route prey might follow when being pursued. The rope (or braided string) is attached to a motor. The lure itself is usually a series of white plastic bags (some operators may attach a fuzzy tail as well). 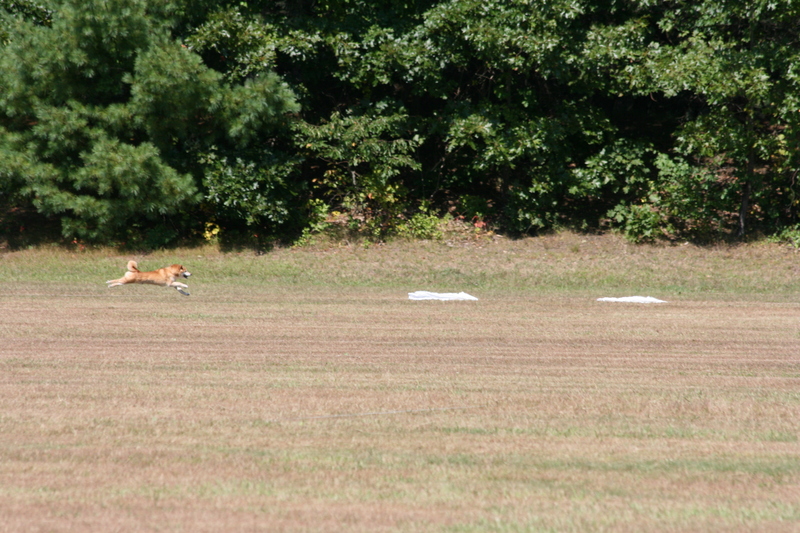 The white bags provide a great visual target for the dogs as they can easily see them at a distance and in tall grass. The lure operator will control the lure in such a way as to simulate an “escaping” game. 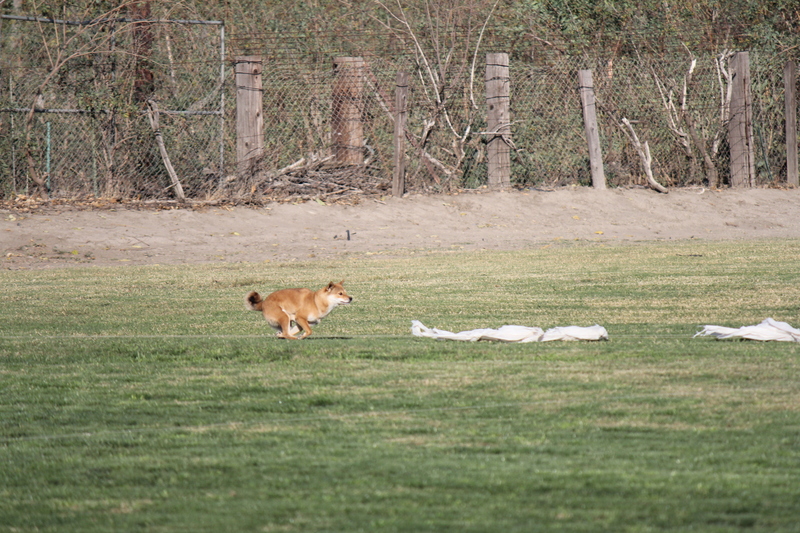 As the Shiba gains ground or approaches the lure (plastic bags) the operator will “tease” the dog and speed up (as if to escape). This interaction normally entices and excites the dog to accelerate and chase with “passion”! A higher numbered title will be awarded for each additional twenty five passes. Probably! AKC permits both purebred and mixed breed dogs to compete in Coursing Ability Tests (CAT). They also require that the dog be at least 12 months of age and be registered with that organization. The AKC requires that all dogs are checked for lameness prior to running the course. To enter an AKC CAT event, your Shiba should either be registered with the AKC or listed with the AKC’s Purebred Alternative Listing (PAL) program. Many of the sighthound dog clubs will offer these events. In addition, you may find some “fun events” offered by operators that are normally restricted to a smaller field size and in a controlled environment. The AKC’s website offers an easy tool to look up events in your area or local web searches for “Lure Coursing” or “Coursing Ability Tests” – should give you the best results.